Jorre van Ast, with the Nomad Table and Trestle Table, both his own design. We had the pleasure of meeting Jorre van Ast recently at our San Francisco showroom. After hearing about his fascinating family history with Arco, we wanted to know more. Jorre van Ast started as head of the design and development studio at Arco in 2008. Since 2011, the family business has been led by Van Ast – the fourth generation since the start of the company in 1904. Van Ast bases the strategy of Arco on his vision: he values heritage but also strives to make the company and the collection ‘future proof’. Innovation and sustainability in materials and technology remain important principles, coupled with a consistently high level of quality and craftsmanship. Besides consumers, Arco increasingly serves the contract market. Jorre Ast studied Industrial Product Design at The Hague University. After two years working at the industrial design studio Flex in the Netherlands, he continued his studies at the Royal College of Art (RCA) in London where, in 2006, he graduated in Design Products. His graduation project Clampology is part of the MoMA New York collection. After the RCA, Van Ast started as an independent product designer in a joint studio in North London - the Okay Studio. Van Ast's Jar Tops, which were designed there, won the Dutch Design Award and the Good Industrial Design Award. Nowadays Van Ast designs successful products for various clients such as Arco, Thonet and Royal VKB. 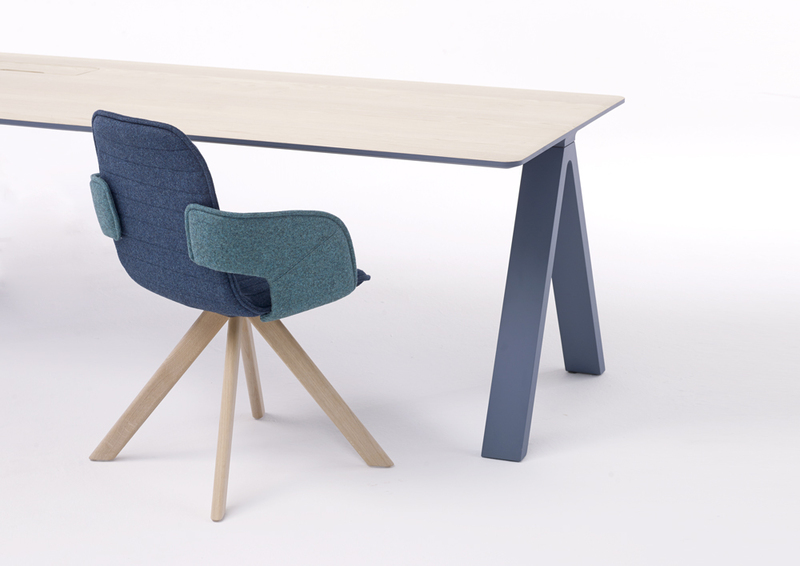 His Nomad Table won an IF Award and IMM Interior Innovation Award. A robust, no-nonsense table made of solid wood and concrete - durable materials that can take a knock. The Nomad Table with the Sketch Chair. Nomad is a lightweight table made entirely of wood, with wood threads so the legs can simply be screwed into and unscrewed from the top. Work. And, maybe surprisingly I don’t like the word Design, because of how it is being misused in the The Netherlands. We borrow a lot of English words; Designing is an act, and activity…way of thinking. The way it’s often used in The Netherlands is as an adjective. A Design light/table/bottle or whatever. Every product is designed, good or bad. The word design basically gets hijacked very often by the marketing team to upgrade their products. Although known for their tables, Arco also makes related products such as chairs, closets, small furniture and accessories. 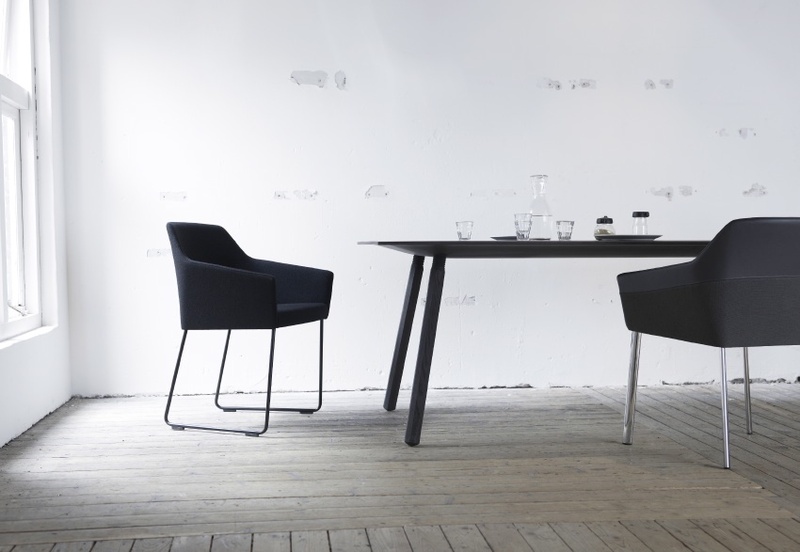 Pictured here: the Flux chair, a contemporary chair with a modern and extremely comfortable construction, versatile and affordable. Emotionally, I’ll start to cry when I see videos of my favorite soccer player all times, Marco van Basten during his farewell in San Siro (far too early), or the Dutch team on their boat trip through the canals in Amsterdam after winning the European championship in ’88 (way to long ago! Auw!) Creatively, it's very hard to grasp. Sometimes you get in a flow, and ideas run. Positive energy is very important I guess. 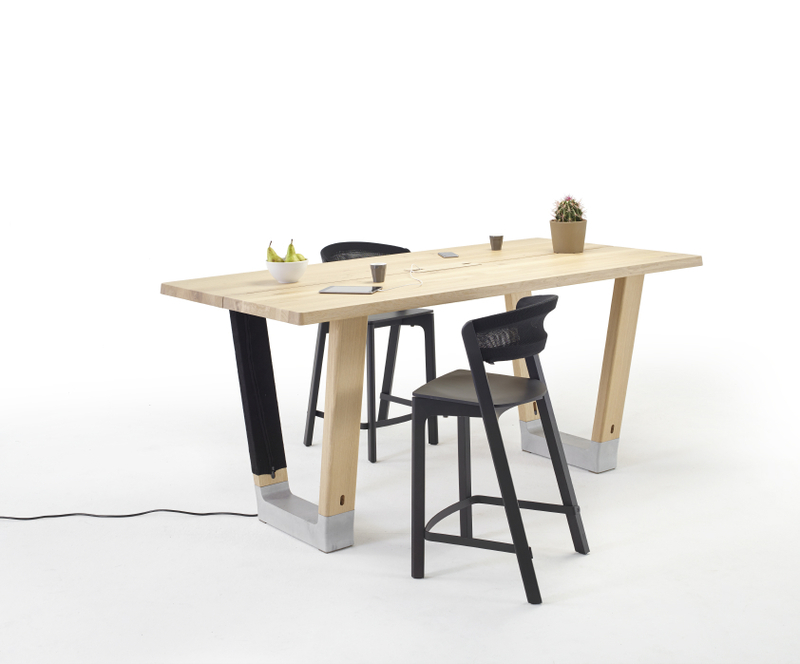 Joy Table, Flux Chair and Cable Sock. Architecture. But maybe that is too close to what I do now. I’m jealous of musicians… and their direct emotional response. It's much more intense compared to designing products or furniture. Accounting! In general, something with a lot of repetition. I couldn’t sell anything I don’t support and believe in.